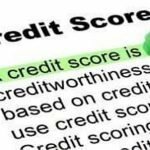 When it is time to buy a home for sale in the Hampton Roads area of Virginia, the most important thing is you credit score. If having a low credit score makes you want to put the brakes on your home buying dreams don’t lose hope. The main thing is to be patient and know that improving your credit won’t happen immediately. Contact me today at 757-943-9184 and find your home for sale in Hampton Roads, Virginia. 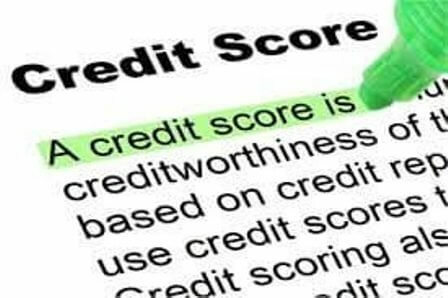 First of all, obtain your credit score from 1 of the 3 major credit bureaus, Equifax, Experian or TransUnion by going to www.annualcreditreport.com, where you can get them free once a year. After you’ve received your report, you can start taking these steps to improve your credit. Make sure that all your account balances are accurate. Verify that your name and date of birth are correct. Make sure there are no late or missing payments. Sometimes there are mistakes made on credit reports. If you see something that doesn’t look right, contact the bureau to dispute it. Delinquent payments will have a negative effect on your report. Make sure you pay all bills on time to ensure they don’t end up affecting you negatively. Payment history makes up 35% of your credit score. If you have lots of late bills, start with the oldest first. A bill that is delinquent by 90 days will have a greater affect that one that is 60 days late. If you have a debt that you can’t pay, call the company and see if they will work with you. Most creditors will settle the debt for less than what you owe. Nonetheless, it’s best to pay debts in full whenever possible, as it will have a more positive effect on your credit report than one that is settled. It’s important that you aren’t spending the maximum amount on your credit cards out each month. Credit bureaus may only pay attention to the amount you used even though you may be paying your balance in full. Don’t use more than 30% of your maximum credit limit. For example, on a $1000 credit card don’t use more than $300, even if you pay it on time and in full. If you really need more credit, ask your credit card company to increase your limit, allowing you to spend more while still staying below the 30% threshold. Having multiple small balances across a number of different cards can actually hurt your score. Pay off those small balances and just use a few cards. You don’t want to close those other cards, though. Unused cards add to your overall credit limit. Here’s another example: If you have 3 cards each with a limit of $1000 and you have a balance of $900, then your debt-to-credit ratio is 30%. If you remove 1 card and still have a $900 balance between the remaining 2, your debt-to-credit ratio will become 45%. That’s why it’s important to simply keep the accounts you currently have open even if you don’t use them. Every time you apply for credit a potential lender is going to contact the credit bureaus for a copy of your credit report. Each of these inquiries is noted and can affect your credit score. Applying for multiple credit cards in a short period of time will negatively affect your score. If you are shopping for a car, student or home loan, you may have numerous inquiries from different companies as you’re shopping around for different rates. Any inquiries made within 30 days of finding a loan will be counted as only 1 inquiry and won’t affect your score. For that reason, it’s very important to make sure that you keep your loan shopping within a 30-day time period. Buying a home can seem like an overwhelming task, there are so many things to consider. You don’t have to navigate these waters alone. I’m here to help you get into the home of your dreams. Contact me today! Whether buying or selling a home, having credit power is an important aspect of real estate. Get INSTANT Access to this E-Book! At this time of the year, many of us are thinking of our income taxes. Filing returns with the IRS is often stressful and tiring. However, selling a house doesn’t have to be! You need a real estate professional to take the headaches and hassle out of selling a home. How can I help? First, we’ll sit down together and discuss your individual situation. Next, we’ll evaluate the right marketing plan to reach your goals. In today’s real estate market it’s a tremendous advantage to create a complete, individually tailored marketing plan for every home. When you’re ready to proceed, I’ll get started with the marketing of your home. There are many things I do to find buyers, including creating special feature flyers for your home, holding open houses, developing advertising, exposing it to other salespeople, and more. I’ll also go over my Merchandising Review Form with you every 30 days to guarantee we’re on the right track. Then, once we’ve found the perfect buyer, I’ll negotiate the offer. When we have reached a fair purchase agreement, we can transfer ownership of the home to the buyer, and get your money in your pocket. Yes, selling a home is a big undertaking, but it doesn’t have to be a hassle, especially when we work together through the process. If you’re serious about selling your home, at the highest possible price, give me a call. Let’s find a time when we can sit down together and openly discuss your alternatives. I’ll give you the price range it should sell for, and an honest opinion of how long it will take. Find out ways to get your house sold quicker and for the most money possible with this free download. Want to buy a house with no down payment in Virginia Beach or surrounding areas of Hampton Roads? There are no down payment to low down payment financing options for home buyers in Virginia Beach and other communities in Coastal Virginia. The first step is to talk to a mortgage lender to find out if you qualify for these types of loans and finance options, especially if you are looking for down payment assistance. A lot of people are intimidated by this because they feel they may not have good credit or feel they haven’t saved enough money. Just knowing where you are starts you on the road to home ownership. Are you Serious About Buying a Home? It’s important to talk to a lender about what options are currently available as well as what product is right for you. Loan products and programs are subject to change, and the loan officer may know of more programs. If you want to buy a house but need money for a down payment don’t give up just yet. There are mortgages available for buyers who can’t come up with big sums of cash. Some of these mortgage programs require a low down payment or even no down payment. Check out six options to buy a house with little to no money down. VA Loan: This loan is backed by the U.S. Department of Veterans Affairs. It helps current or past service members and their families obtain a mortgage with little to no money down and no mortgage insurance. USDA: The USDA home loan program (Rural Housing Service) is a no down payment mortgage for eligible home buyers who wish to purchase in qualified rural or suburban areas. FHA Loan: The Federal Housing Administration (FHA) loan is one of the most popular home programs where you can qualify for a loan with 3.5% down. VHDA Programs: The VHDA’s goal is to help meet Virginia’s housing needs by providing mortgages for first-time home buyers, as well as financing for apartment communities and revitalizing neighborhoods. They offer free home buyer classes, housing and credit counseling. HomePath Ready Buyer Program: This Fannie Mae program is for first-time home buyers who, taking a required home buyer class can receive up to 3% towards closing cost assistance toward the purchase of a HomePath property. Local Banks and Mortgage Companies: There are some local banks in Hampton Roads that offer grants of up to 3% that you don’t have to pay back if you qualify. Also, currently there are 1% or $500 down loan programs for qualified buyers that local bank mortgage companies are making available . I work with local lenders who can speak with you to see which loan program works best for you. Your lender can also educate you on what to do in order to qualify in the future, if you’re not ready at this time. There are options available for those who qualify to buy a home in Hampton Roads. Many buyers are taking advantage of this opportunity so they can become homeowners. Why not you? If you are a home buyer, my foremost goal is to provide you with exceptional customer service. Our goals are to help you purchase the right home, make sure you don’t miss out on any homes that meet your needs, and make sure you don’t pay too much for your next home. Please utilize my real estate expertise to make your home search and buying experience as stress free and rewarding as possible. I hope that you enjoyed this How To Buy A House With No Down Payment post! Are you feeling a bit cramped where you currently live? Life changes, and your house needs can end up changing too. If you’ve outgrown your present home. having more space will make life easier. Check out these 4 bedroom homes with garage. Contact me if you have questions regarding homes or to schedule a showing. If you have a home to sell click here to find out how to get top dollar for your house. For sellers, knowing what distinguishes a withdrawn listing from an expired listing can be confusing. Both clearly indicate that your listing is not active online. But, more specifically, what do these real estate terms actually say about the status of your property? The biggest difference between “withdrawn” and “expired” has to do with your listing contract and whether or not you’re still obligated to work with your listing agent. With either scenario there are timelines that must be complied with in order not to be in breach of contract. Make sure to ask the listing agent to explain when the terms of the contract are definitely over. This is a current list of the top ten most affordable Chesapeake Homes that are available for sale. Please bookmark this page as the available real estate listings change from day to day. If you have any questions about any of these affordable homes located in Chesapeake or are thinking about putting your home on the market please call me at (757) 943-9184. ARE YOU LOOKING TO BUY YOUR DREAM HOME IN Chesapeake, VIRGINIA? Please utilize my Chesapeake real estate expertise to make your home search and buying experience as stress free and rewarding as possible. Are you thinking about relocating to Chesapeake, Virginia? I can help you find the perfect home and make your move as stress-free as possible. I can offer valuable insight about the area to help you through your home buying experience. Contact Me at (757) 943-9184. ARE YOUR THINKING ABOUT BUYING OR SELLING IN Chesapeake, VIRGINIA? LOOKING FOR MORE INFORMATION ABOUT Chesapeake? I hope that you enjoyed this Top Ten Homes For Sale in Chesapeake post! What About Rent to Own Homes? Rent-to-own homes can be an option if you want to have a house now and don’t have enough cash for a down payment and/or your credit score isn’t high enough to be approved for a mortgage at this time. There are a lot of scams related to rent-to-own homes, so be careful. If it is a legitimate opportunity, then a credit check may be requested to find out what’s going on. They’ll want to know if you’ll qualify within the seller’s time frame. This is especially the case if your credit needs repair. Also, an upfront down payment or higher rent may be required. Join me on Facebook where you’ll find tips on buying and selling a home, neighborhood information, local events and real estate updates. Get Your "What About Rent To Own Homes" Report here.